"The Iggle" donut from Federal Donuts is the original cake flavor, covered in kelly green frosting and sprinkles. 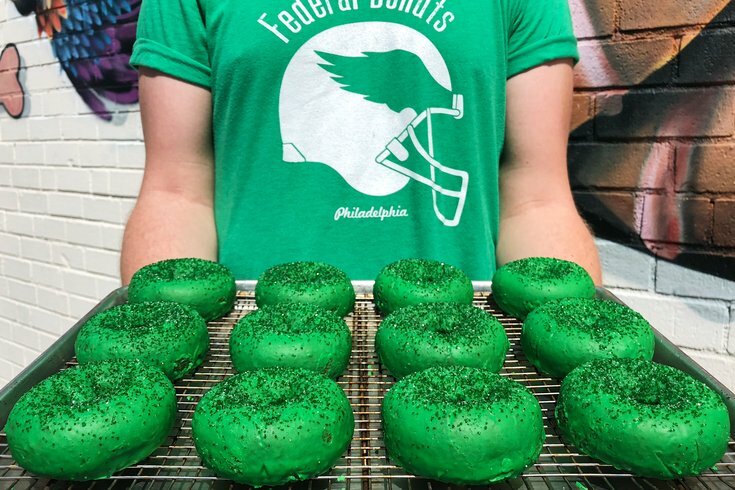 Federal Donuts is bringing back its Super Bowl victory donuts for one day only, and yep, you guessed it, it's for this Thursday's home opener. 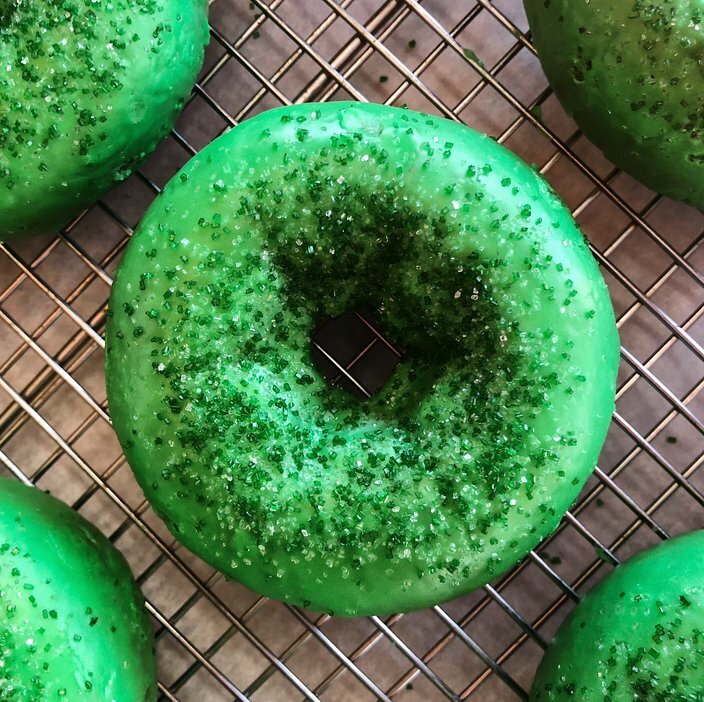 It's called "The Iggle" for obvious reasons and is the shop's signature cake flavor, coated with kelly green frosting and green and silver sugar for what they call "grit and brotherly love." Here's the closeup you didn't know you needed to see until this very moment. “The Iggle” is the shop's signature cake flavor. The treats will be available (hopefully) all day on Thursday, Sept. 6, but they're first-come, first-serve. So they could be gone by 10 a.m. They're going for $2.75 a pop, $13 for a half-dozen and $24 for a dozen. Oh, and they're also selling limited time Eagles T-shirts. You can get them all in stores and also online here.